JDN big bag handling air hoists are available at carrying capacities of 1100 kg and 2200 kg with an air pressure of 6 bar. With one load hook for cross beams. The large distance between the hook and the chain box is particularly advantageous. This guarantees that there is no danger of collision between the load and the chain box. With two load hooks for more complex multi-point cross beams or simple rod cross beams with two means of suspension. 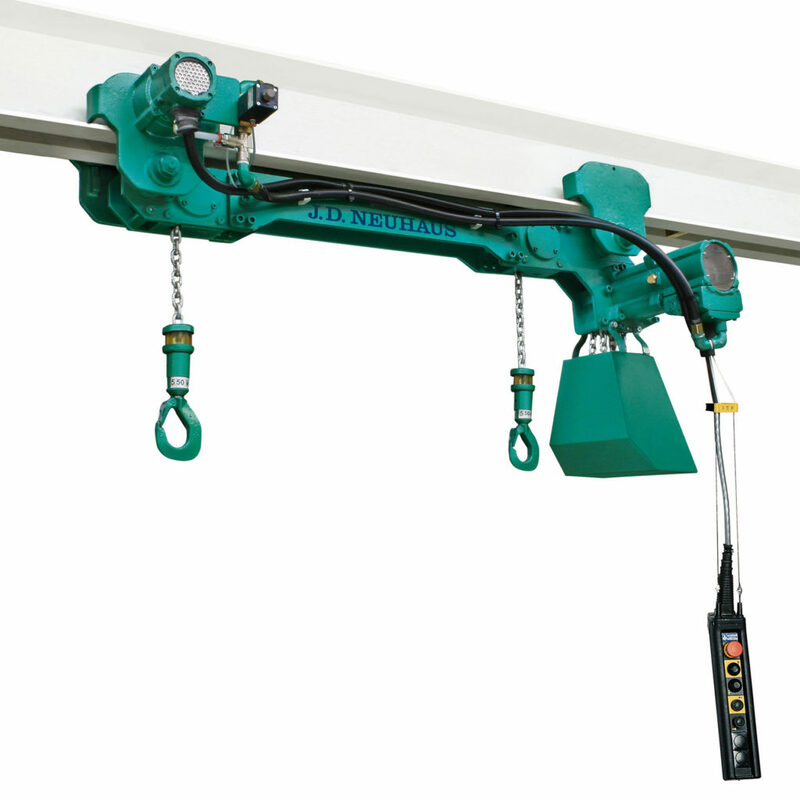 Particularly suited for use as big bag handling hoists and for the movement of all kinds of bulky loads due to the extreme low construction height. Usable as synchronised hoist in two-hook design. Very economical and reliable due to the use of proven JDN serial components. No additional motor lubrication required. Fewer parts for operation free of maintenance and wear. Chain box included in standard equipment. Adjustable to various I-profiles; the hook distance can be adjusted later. ©2019 Ballinphellic Engineering Web Design and Development by StudioForty9.